Taraji P. Henson and Lady Gaga slayed the Golden Globe Awards on Sunday. Gaga's look gave flawless Marilyn Monroe in Atelier Versace, while Taraji's look appropriately suggested Goddess of the throne; in a Stella McCartney gown. The ladies effortlessly executed - dramatically proving they were worthy of their Golden Globes. 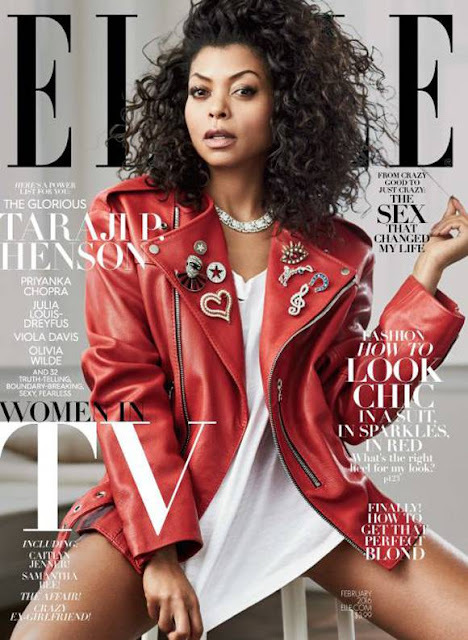 Taraji won an award for her amazing portrayal of Empire's Cookie Lyons, while Gaga grabbed a Globe for her outstanding role as Elizabeth on American Horror Story: Hotel. Taraji's recognition from Hollywood is long overdue. She's had many significant roles overlooked; such as Baby Boy, The Curious Case of Benjamin Button, Hustle & Flow, Karate Kid and CSI. Yet in true Queen fashion, she's come to stake her claim as the most popular woman on Primetime TV at the moment. Gaga's win is also significant. Although she went to a performance art school; she's known to most as a pop star. She got me watching American Horror Story: Hotel, and I'm actually loving it! Catch Empire at 9PM EST on FOX Wednesday nights and American Horror Story: Hotel at 10PM EST on FX Wednesday nights as well. Congratulations on your engagement Gaga! Okay, I know all of America had to see this by now but if you didn't, it's a MUST SEE... like so surreal. Her Highness Adele; spits Rap Queen, Nicki Minaj's whole Monster verse during a Carpool Karoke session with James Corden on The Late Late Show. Speaking of Rap Queens, Lil Mama stopped by The Breakfast Club the other day to clear up a few misconceptions about her image. Her words are inspirational as always.